Yash Chopra – the man who taught us the meaning of romance and unconditional love. He is called the king of romance and his career has spanned over five decades and over 50 films. Even though SRK was associated with Yash Raj for many movies together, there were 4 gems in SRK’s career which Yash Chopra himself created. Today as we celebrate the 85th birth anniversary of this legendary film maker, here are some of the heart warming moments and movies that Shah Rukh Khan and Yash ji made over the years. The successful pairing of SRK and Yash Chopra began with a thriller. Casting SRK in a negative role, Yash ji gave us the true intensity of SRK’s love, although in a negative way. He gave us “K..K..K.. Kiran”, a dialogue which would be copied and mimicked for decades after the release. After the super successful Dilwale Dulhaniya Le Jayenge, which Yash Chopra produced, he came back behind the camera to direct a musical love story, Dil Toh Pagal Hai. “Rahul, naam toh suna hi hoga” was brought to life by the slightly arrogant but ‘completely besotted by the leading lady’ character portrayed Shah Rukh Khan. The winning combination did not only make a blockbuster movie, but also started the trend of love stories set in the urban zone. The characters were independent, ambitious, but also believed in the sanctity and innocence of love. Not to mention DTPH has some of the best songs that we have ever seen in Bollywood. The saga of love, separation, courage and sacrifice. A love story that is an inspiration and will remain a legend forever. Yash Chopra gave us this beautiful love saga in the day and age of instant make ups and break ups. The sacrifice of lovers, just to keep the dreams of their loved ones alive is too beautifully portrayed in this love story which pans more than 20 years. Yash Chopra’s last movie as a director, where we saw another love story panning decades. 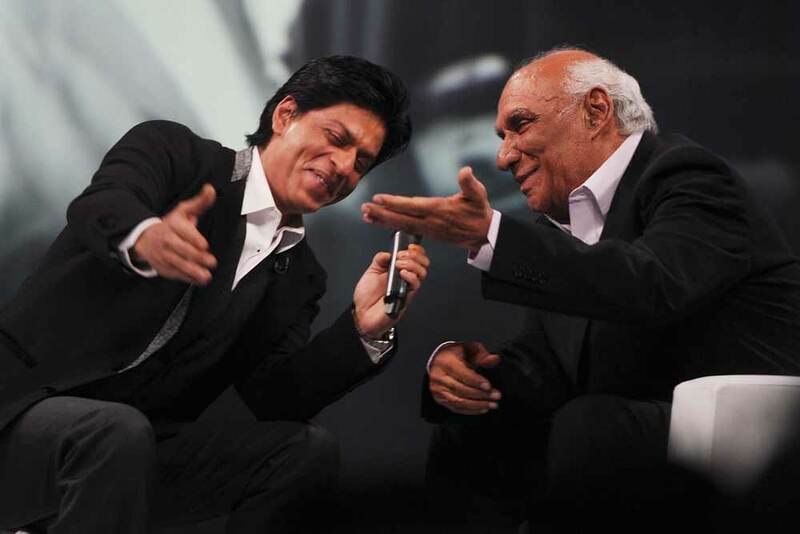 This was the last time we could see the SRK Yash ji duo together, creating magic. Watch the lovely conversation between SRK and Yash Ji just before Jab Tak Hai Jaan released, as they talk about the wonderful journey of Yash Chopra. Thank you Yash ji, for giving us some of the best cinematic moments with Shah Rukh Khan.